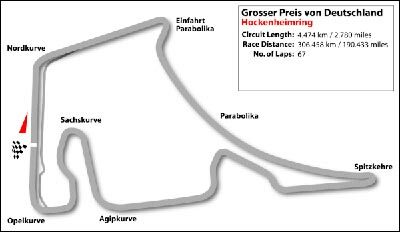 The German GP is held at Hockenheim, not Nurburgring. It was opened in 1939, 15 miles from Heidelberg, and was used for German national car and motorcycle racing. In 1965/6 it was uprated to a design by John Hugenholz because one end was lost when an autobahn was built. The resulting circuit, 6.7 km long, remained blindingly quick for most of its length, with a slow section in the ‘stadium’ (i.e. grandstand) area, similar in concept to the GP course at Indianapolis. 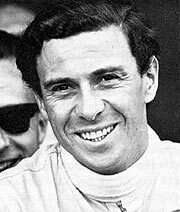 Hockenheim achieved notoriety in 1968 when, at one of the first major races held at the circuit, Jim Clark was killed in a Formula Two race following presumed tyre failure. His actual death was caused, however, by the fact that his car was able to leave the circuit unimpeded and hit a tree. While the Nurburgring was being made safe, Hockenheim staged the 1970 German GP with a layout made slower by the construction of three chicanes. It was not a popular choice of venue but, following Lauda’s accident at the Nurburgring in 1976, Hockenheim became the home of the German GP apart from 1985 when the new ‘Nurburgring’ had the race. Next week: What did we learn from the German GP? Last week I mentioned electric cars, and asked which vehicle was the first to exceed 100 kph? I wanted the name and driver! First in was Stuart Saunders, with Count Camille Jenatzy in La Jamais Contente in 1899 outside Paris. So to this week. Take a good close look at this photograph. 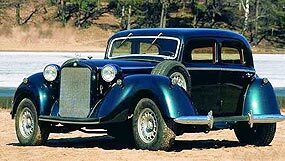 What is this car? And why does it look so strange? Many years ago I was running a standard Isuzu Gemini in a tightly controlled formula. Like everyone else, we would be looking to see what little tricks could be turned to give an advantage. For most teams that meant trying to alter cam timing and compression without being found out by the scrutineers. For me, I began looking at the fuel we used. The F1 circus came to Australia for the Grand Prix. 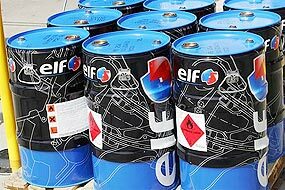 After the GP weekend, somehow, a drum of the special F1 fuel was left behind by the Williams team, and it made its way to Brisbane, 2000 km away, where I was waiting. This fuel was really special, very much more efficient thermodynamically than 97 octane, or even 115. Taking Gemini to the rolling road dynamometer we tipped in the F1 fuel and looked at the horsepower numbers. Instant horsepower, and big grins all round. The weekend would be very successful, we predicted. We rolled out for practice, and I could feel the extra urge immediately. However, the extra urge only lasted three laps. The crew set about working out why it stopped, and it turned out that the fuel was not getting to the engine. But why not? There was plenty in the tank, and so we began to take out each fuel line looking for the blockage. It was then we found that the F1 fuel was eating the inside of the standard fuel lines, making gummy deposits all the way along the hoses. F1 cars, of course, do not run rubber/neoprene fuel lines, like production Isuzu Gemini’s do! We had outsmarted ourselves, but at least we did find a good use for the F1 fuel. It was the greatest way to get the BBQ coals burning. After dousing in F1 fuel, you tossed a match at the BBQ from about 20 paces away. Whooompa, and the BBQ was ready! Technology wins again! It has been an interesting week. The financial pages of the newspapers recorded the lowest price for General Motors shares for several decades and some even began whispering that GM could go bankrupt in 2009. Personally I do not believe that would happen. The financial reverberations if GM went down would destabilize the world, but there is no doubting that GM is in trouble, building cars that the US domestic market does not currently want. However, they do have enough small cars in their overseas line-up to survive. GM is also looking at hiving off the Hummer brand, producer of one of the world’s thirstiest vehicles. Ford is also in heaps of bother, and have been selling off all the brands they captured a few years ago. Jaguar and Aston Martin spring to mind - but what about Volvo? On one hand FoMoCo is denying that Volvo could be for sale, but on the other hand, the same financial experts are saying that it must happen, including investor Kirk Kevorkian who now sits on the Ford board. Chrysler, which is the weakest of the US Big Three, has admitted that it will axe 2400 US jobs by October 31 this year. These jobs would go with the idling (and no expectation of a return to production) of its St Louis South assembly plant in the US from October 31 and with a scaleback from two shifts to one at its St Louis North plant, effective September 2. 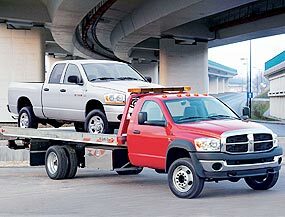 St Louis South builds people-movers including the Chrysler Town & Country (aka Grand Voyager) and Dodge Grand Voyager, while St Louis North builds full-size pick-up trucks including the Dodge Ram - models Chrysler claims it remains “committed to”. “The Chrysler and Dodge minivans have held a leadership share in a shrinking market and we believe in the long-term viability of the pick-up market,” said Chrysler LLC president and vice-chairman Jim Press. Mr. Press has a more rosy view of the world auto market than I do. The oil costs are not going to go back to $50 a barrel. No way, Jose! In other Chrysler news, a JP Morgan automotive analyst last week said the third best selling Detroit-based US car-maker could face bankruptcy by the end of this year. “The risk of a liquidity event at Chrysler during the second half of 2009 is fairly real,” Himanshu Patel confirmed to Automotive News in a conference call on July 3. Chrysler LLC CEO Bob Nardelli said the company lost about $US1.6 billion last year but Mr. Patel is estimating it could post an operating loss of $US4.5 billion in 2008. He said in that in the event of a cash crisis Chrysler might have to sell assets, which could include its US distribution system and even its Chrysler, Jeep or Dodge brands. Coming just days before the American manufacturer announced that it had signed a memorandum of understanding with Chinese manufacturer Great Wall Motor to investigate the feasibility of developing a long-term strategic relationship, Chrysler’s latest round of job cuts were described by company management as necessary for building long-term profitability. Don’t be surprised if there is a Chinese Jeep in the future. After all, there is a German Rolls-Royce, a Chinese MG and a German Bentley. Chrysler will remain American, however, as the Chinese will be flat out pronouncing the name. Too many R’s and L’s! And that reminds me, there is a black Chevrolet Colorado running around with the letters spelling “COROLADO” (sorry I couldn’t get a pic at the time) which would be pronounced “COLORADO”!